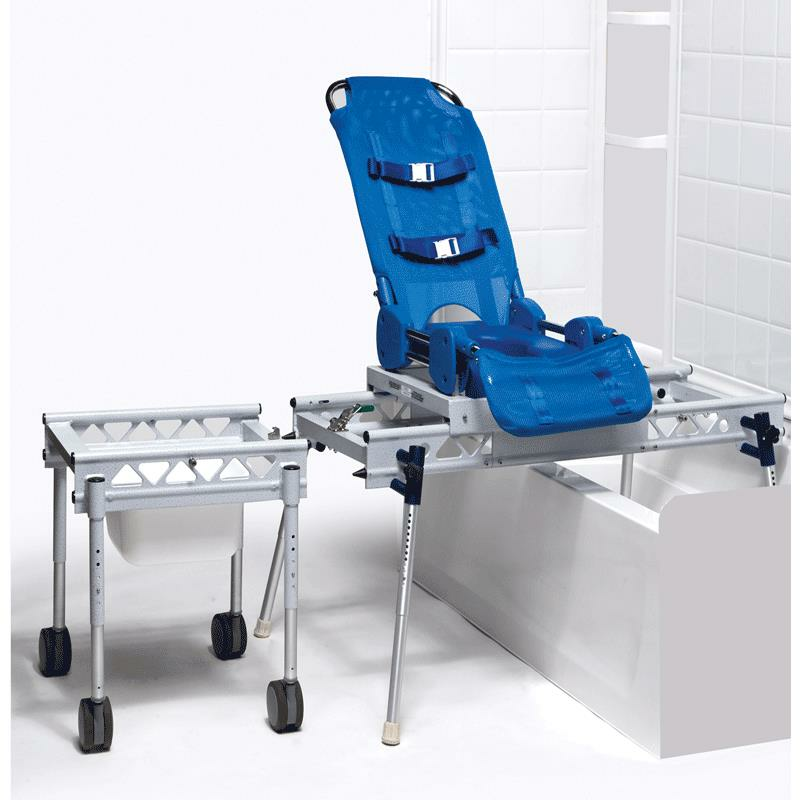 Columbia Omni Reclining Bath Shower And Commode Transfer System comes reclining feature that provides better positioning and support. The Auto-Safety Stop system prevents chair from accidentally falling off base while bacteria and fungal-resistant ComfortMesh cover ensures clean comfort. Buy this product and earn 185.03 Reward Dollars. Seat height range 23.5" to 27.5" 26.5" to 33.5" 23.25" to 27.5"
Overall length (transfer system) 52" 52" 52"
Tub clearance 13-7/8" to 20" 13-7/8" to 20" 13-7/8" to 20"
Are there any precautions to be taken care of? 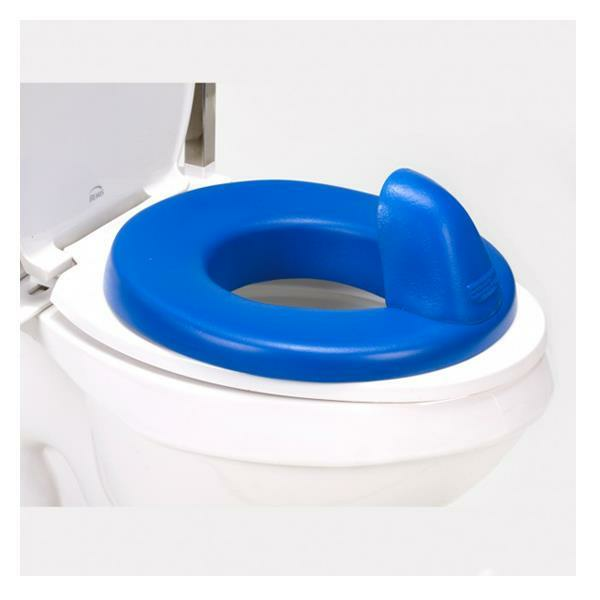 To reduce the risk of injury or drowning, NEVER leave the user unsupervised or unattended while using this product. Determine, with a physician or therapist, the suitability of this product for the intended user. Check regularly that all tubing, bolts, buckles, and other parts are tight at ALL times. When occupied, make sure the user is buckled in at all times. How do I clean the fabric cover? 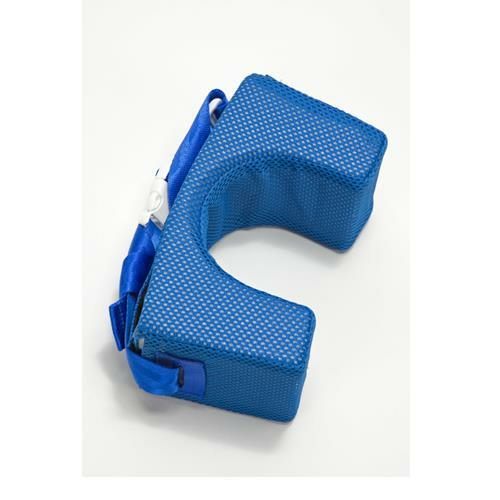 - Adjust the back and calf support frames to horizontal. Turn the seating up- side down and remove velcro strap. 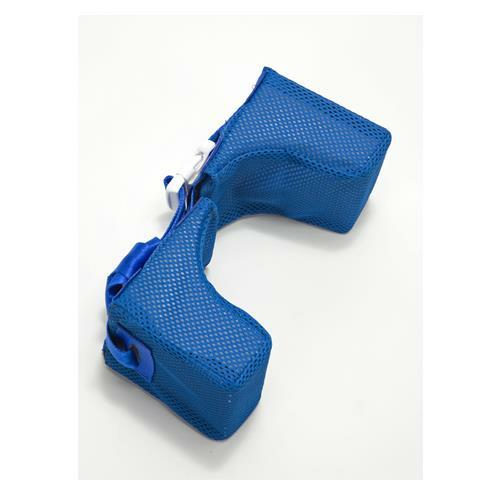 - Slip the cover over the back and calf supports. Using warm water (100°F/38°C) and household laundry detergent, wash the cover in the washing machine using gentle cycle. What is the fabric cover made of? The fabric cover for Omni Transfer Systems is made of polyester that is durable, antimicrobial, resilient, quick drying, fade resistant, and machine washable. How do I clean the transfer system? Soapy water or mild cleansers may be used on all parts of your Omni Transfer Systems. Harsh abrasive cleansers may dull the finish. 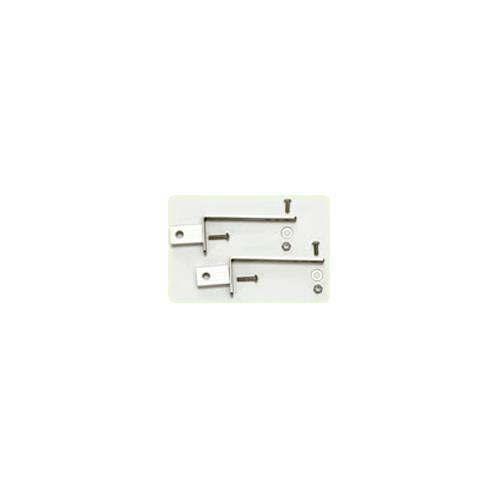 With the legs in the open and locked positions, place the transfer base into the shower or tub. Then, roll the seating to the end of the tub base. Note: The shuttle base is reversible and can be installed on the slide rails in either direction to accommodate any bathroom layout. Adjust the leg height of the tub base so the frame tubes are at the same height as the rolling base and both are aligned when positioned end to end. Make rough adjustments (¾”) with the detent buttons, or make fine adjustments by loosening the back knobs and turning the legs to the desired height. Tighten the adjusting knobs when the height is set. When the heights of the tub base and the rolling base are equal, move the rolling base as close as possible to the tub base. Place the tongue of the manual locking latch over the receiver on the tub base. Lock the rolling base to the tub base with the center latch before attempting to transfer or slide the rolling base. Loop the tongue from the tub base over the hook receiver on the rolling base. Lock the base to the seating by pulling down on the manual locking handle until the safety lock clicks in place. The safety lock prevents the seating base from rolling away. Prior to transfer, raise the calf support high enough to clear the sides of the tub. When transferring, roll the shuttle base until the latch on the back clicks into the position lock bolt. There are position lock bolts on rolling base and tub base. 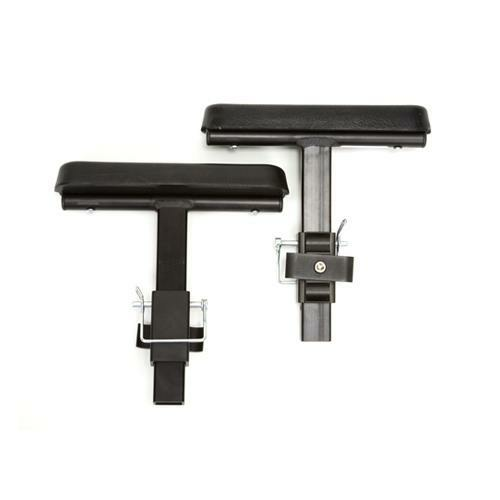 These will lock the seating into a secure position and eliminate any side movement and/or rolling during use. 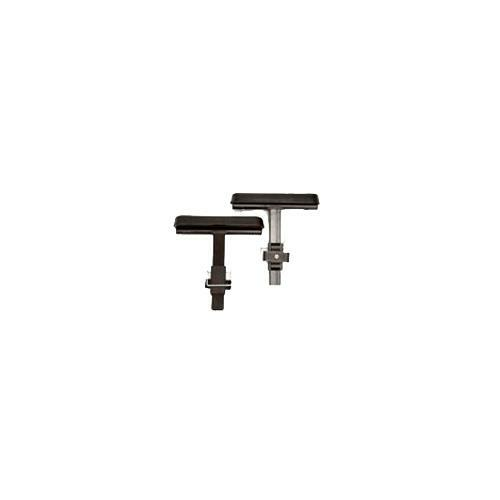 Note: The lock bolt on the tub base can be repositioned into two other locations for better positioning of the individual over the tub in certain applications. 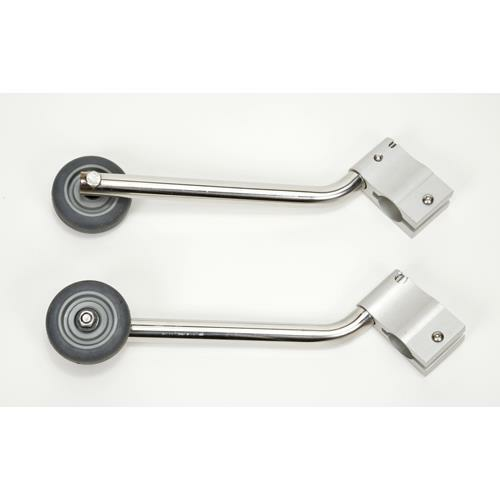 To release the lock, pull upward on the black knob on the lower back of the slider and allow it to travel between the coupled rolling base and bath tub base.